Air France is one of the world’s largest air carriers. Knowing that its continued economic success depended on the performance of its workforce, the Company decided to launch a major digitization training project aimed at helping directors and managers to boost efficiency and operational performance. It was necessary for Air France to find a program that prepared employees for an ultracompetitive environment and new conditions in the sector, by offering solutions tailored to myriad day-to-day work scenarios and learning profiles. 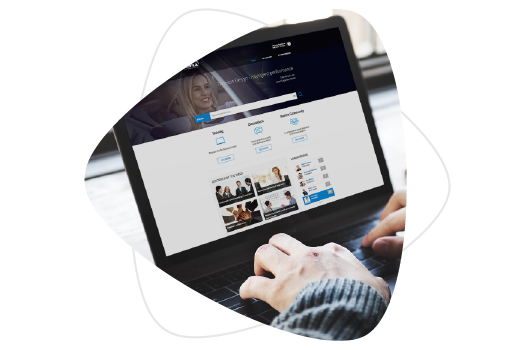 Air France-KLM’s training department collaborated with CrossKnowledge to create two learning portals – one for 8,000 managers and the other for 400 top executives. Both learning platforms were designed to offer shorter training times and enhanced learner involvement. Air France selected a wide variety of learning media from the CrossKnowledge catalog, including e-learning modules, videos and targeted content. Training subjects address high-level management issues such as empowerment, innovation, business trend awareness, leadership development, digital culture, and management skills. 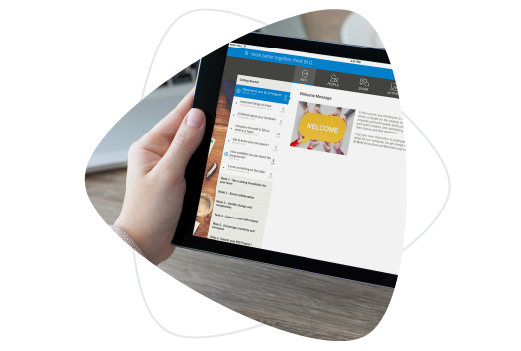 For managers, the My Learning portal combines learning content, a high-performance search engine and social exchange functionalities to encourage interactions between managers. The training materials target communication, leadership development, and problem-solving through an in-depth analysis of management issues from an operational point of view. 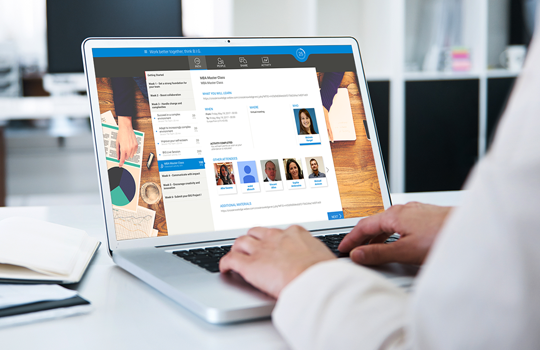 The My Learning Executives portal helps executives develop their leadership skills using a wide variety of resources, links to external management and innovation websites, and the integration of Yammer and two Twitter feeds for information in real time. Their strategy will soon include mobile learning, to give users even easier access to the modules, videos, archives and publications that most interest them. Learn more about the learning solution Air France implements to improve its leadership development.